In a Kontinental Hockey League (KHL) regular season game this afternoon, the Russian ice hockey club Novokuznetsk ''Metallurg'' won Riga "Dinamo" 2:3. The home team's Denis Stasyuk scored the winning goal in the 15th minute of the third period, informs Leta. Scoring for Riga today were Girts Ankipans and Mike Iggulden. 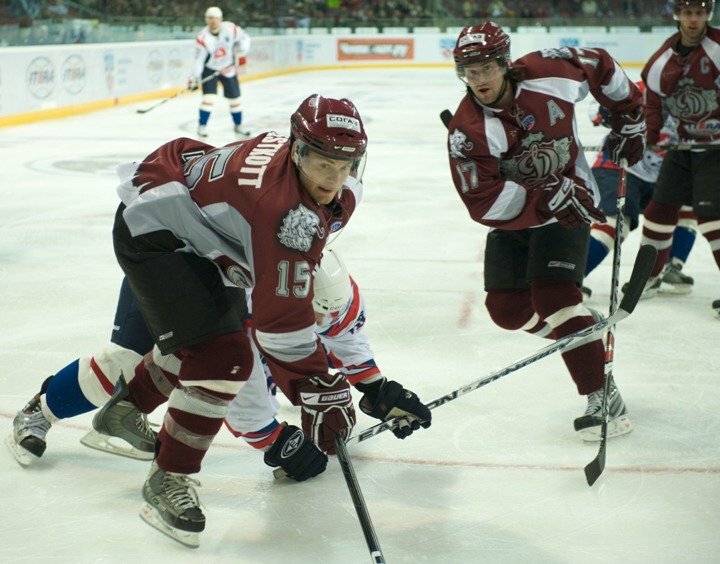 The two teams had faced each other back in October, and "Dinamo" won 4:2. Next up for the tenth place "Dinamo" on this New Year road trip is Novosibirsk "Sibirj" (January 5), then it's Habarovsk "Amur" January 7.
cool! And yes, it is easy to forget Trinidad had a team. Because seriously Trinidad? !